We’re planning a day of awesome talks, workshops, skillshares and exchange curated and delivered by and for you – community repairers, tinkerers and activists in the UK. Spaces will be limited so please pre-register and be the first to know when tickets are released. The theme for Fixfest UK is ‘Repair and Hope’ – because we could all use a bit of hope right now. And get involved! Join Team Fixfest and help plan and deliver activities on the day. If you’re outside the UK and you’re feeling some serious FOMO right now, don’t despair! Global Fixfest 2019 will be bigger and badder than ever. 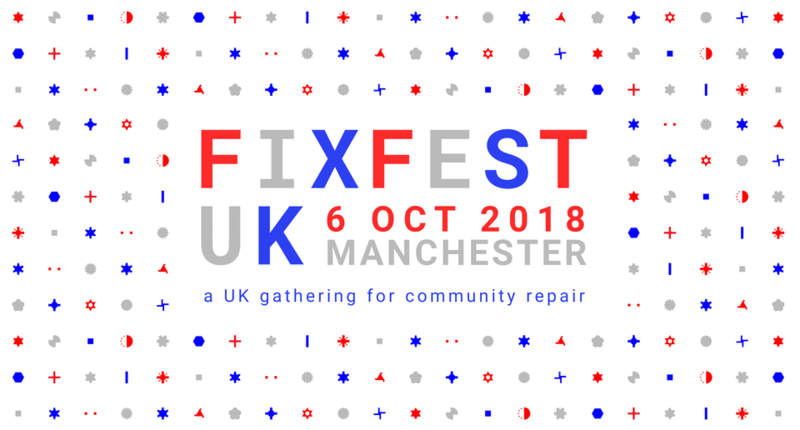 In the meantime we’re working on materials to help you organise a Fixfest this year in your own country and spread the fixing love.